To help customers realize the benefits of the factory of the future, ABB will showcase its innovative robotics solutions and services at ProPak Vietnam 2019. ProPak Vietnam 2019 is the largest and most international processing and packaging exhibition in the Indochina region at which ABB will demonstrate its leading industrial robotics technologies from March 19th to 21st 2019. ABB AbilityTM Connected Services, a sophisticated suite of digital services will be a key highlight of the ABB offering. 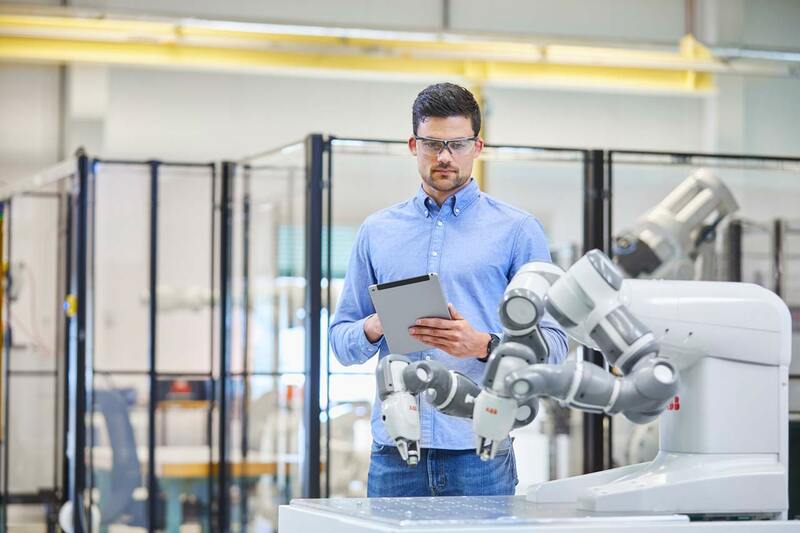 Being delivered via ABB’s MyRobot, a single, intuitive interface, ABB AbilityTM Connected Services make actionable data available anywhere and at any time to enhance robot uptime and optimize the performance of robotic systems. It reshapes the way the world looks. As a pioneering technology leader focused in digital industries, ABB is reshaping manufacturing automation with a number of innovative solutions and services to meet the unique needs of each facility. With ABB AbilityTM Connected Services, customers can overcome up to 25 percent fewer incidents and achieve 60 percent faster response time and issue recovery. Vietnam’s most modern e-scooter manufacturing facility and also supports a number of brick manufacturing plants in the country. Featuring a wide range of Industry 4.0 compatible portfolios such as conditioning monitoring & diagnostics, fleet assessment, asset optimization, and back-up management, the services ensure faster reaction time, higher efficiency and better service technician preparation for on-site calls and support, ultimately helping ABB customers to keep robot systems running at optimal performance. Other industrial robot highlights ABB is presenting at the event this year will include the ABB IRB1200 industrial robot and the FlexPicker IRB360, which help manufacturers pick, pack and palletize with greater agility to meet increasingly diverse consumer needs and shorter product cycles. In addition, ABB’s YuM®i, the world’s first dual arm collaborative robot, which impressed visitors to ABB’s booth at the same exhibition last year, will be also at the show. YuMi® is an innovative solution extremely well suited for manufacturers in the electronics industry, enabling them to meet flexible and agile production needs. In this year’s exhibition, ABB will present YuMi®’s connection with the ABB AbilityTM Connected Services. ABB started its operations in Vietnam in 1993. In the 25 years since, it has grown to be a reliable partner in the field of technology, providing turnkey solutions and services in the market. ABB’s robotics technologies are already widely used in the country’s industries including electronics, animal feed, food and beverage, fertilizer, chemicals, automotive, metal fabrication and brick manufacturing. The company has recently supplied thousands of robots to an electronics manufacturer. ABB employs some 900 employees across Hanoi, BacNinh, Danang and Ho Chi Minh.